"The Bathing Beach, (Easton's) Newport, R. I." by Metropolitan News Co., Boston, Mass. The Bathing Beach, (Easton's) Newport, R. I. 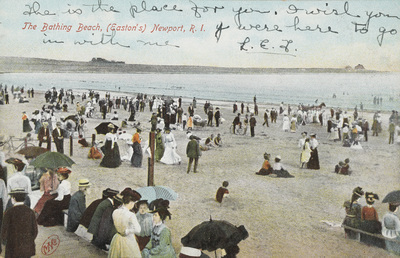 Metropolitan News Co., Boston, Mass., "The Bathing Beach, (Easton's) Newport, R. I." (1915). Rhode Island Postcards. 357.